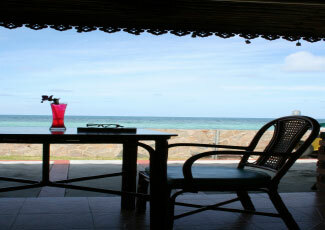 Phangan Cabana is located on Ao Chao Phao, along the popular western shoreline of Koh Pha Ngan. 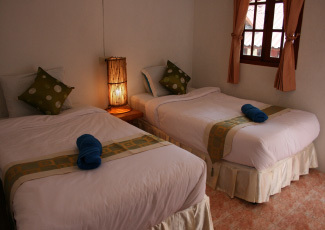 When the resort opened its doors in 1999, it became an instant success due to the high standards of both the accommodation and the service; there were and still are very few resorts on Koh Pha Ngan that operate with the efficiency and quality of service that Phangan Cabana provide. The friendly and professional staff, modern facilities and well maintained grounds go well with the beautiful natural surroundings, providing the perfect setting for you to relax and unwind in this luxurious paradise. 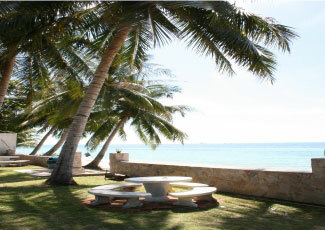 Ao Chao Phao is one of Koh Pha Ngan's most celebrated beaches and is part of the sunset chain of beautiful coves that populate the west coast of the island. The broad white sand beach is nearly one kilometre long, flanked by lush forest and smooth boulders presenting the perfect image of paradise. The bay is deep enough to swim in year round, and the rich coral reef is a haven for marine life; where shoals of tropical Queenfish swim between mesmerising fluorescent corals, making it amongst the best dive and snorkeling spots on the island. The pace of development has been slow and tasteful on Ao Chao Phao, and it retains the peaceful beauty and laid back vibe that drew the first island explorers here, then made them return year after year. 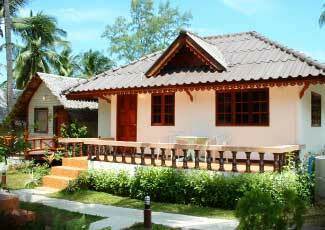 Phangan Cabana has a total of 34 well-maintained rooms and bungalows in a range of styles and prices, all with ensuite bathroom. 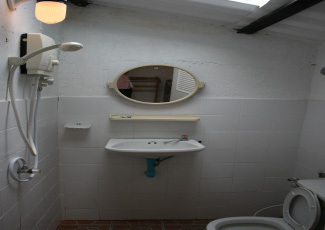 There are eight detached luxury Thai style bungalows tastefully decorated with air conditioning, hot water and a double bed; and another eight deluxe Mediterranean family bungalows, with twin beds, air conditioning and hot water. 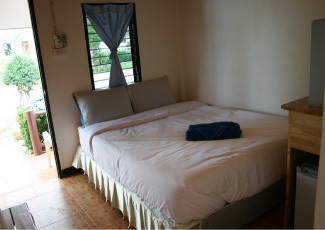 The remaining rooms are a fusion of Thai and Mediterranean styles, in quaint thatched single story rows available at lower rates for those on a budget. 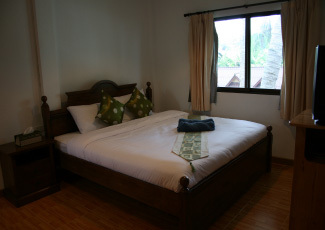 Again the rooms come with a choice of sleeping options, with either double or twin beds available. All of the rooms are just metres from the beach and are set amongst wonderful tropical gardens with manicured lawns and romantically lit paths. The beachfront restaurant at Phangan Cabana is known to be amongst the best on the island, serving traditional Thai and Western dishes. The head chef gained his experience at some of the premier five star resorts in Pattaya, where he learned to create an endless variety of culinary delights. The restaurant has a good selection of wines from around the globe with a daily selection of fresh seafood, steaks and a wide variety of Italian, vegetarian and health foods on the extensive menu. Tantalising cocktails, fruit shakes and imported and local beers are available at the restaurant and at Phangan Cabana's poolside bar, the perfect place to take a pit-stop after a few laps of the pool or watch the moon rise over the bay. 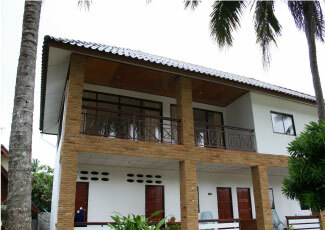 Phangan Cabana prides itself on its modern facilities and high level of service that the resort provides. 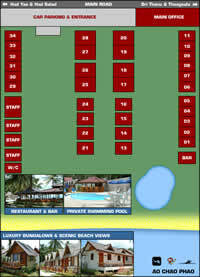 The swimming pool is one of only a few on the island and is situated next to the restaurant terrace under tall shady palms with uninterrupted views over Ao Chao Phao. There are poolside sun-loungers and umbrellas to cool off under, and the beach is only a stones throw away if you prefer to brown up on the fine white sand. If you're feeling active football, volleyball and badminton can all be played on the beach. Snorkelling equipment can be hired to explore the rich coral reef and Phangan Cabana have a speedboat for day and fishing trips around the island. 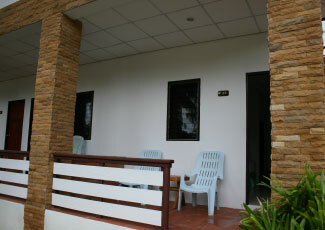 There is an air conditioned minibus for pick-ups from the ferries and taxi service, motorbikes can also be hired. 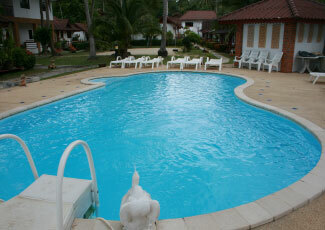 The resort has internet, telephone and fax facilities and also has a laundry service.